Chandra, Fire of Kaladesh at StarCityGames.com! Card Text: Whenever you cast a red spell untap Chandra, Fire of Kaladesh. Tap: Chandra, Fire of Kaladesh deals 1 damage to target player. If Chandra has dealt 3 or more damage this turn, exile her, then return her to the battlefield transformed under her owner's control. Oracle Text: Whenever you cast a red spell, untap Chandra, Fire of Kaladesh. 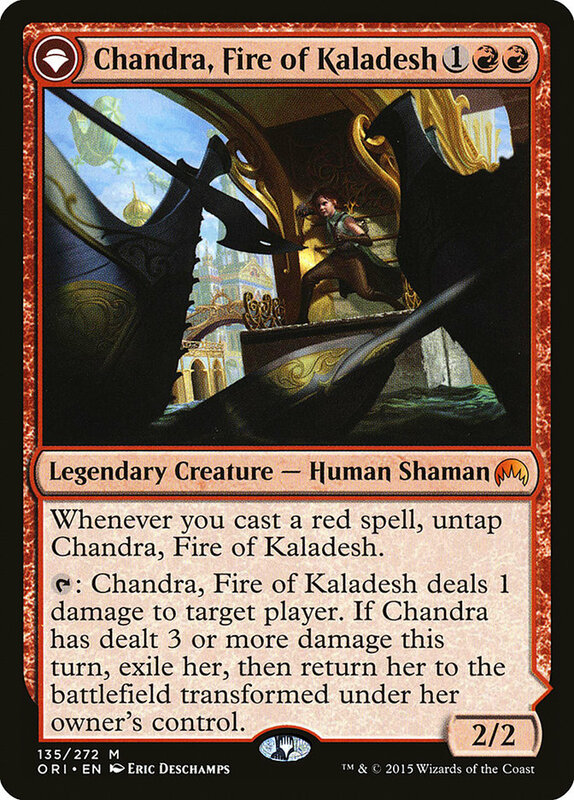 Tap: Chandra, Fire of Kaladesh deals 1 damage to target player or planeswalker. If Chandra has dealt 3 or more damage this turn, exile her, then return her to the battlefield transformed under her owner's control. Card Text: +1: Chandra, Roaring Flame deals 2 damage to target player. 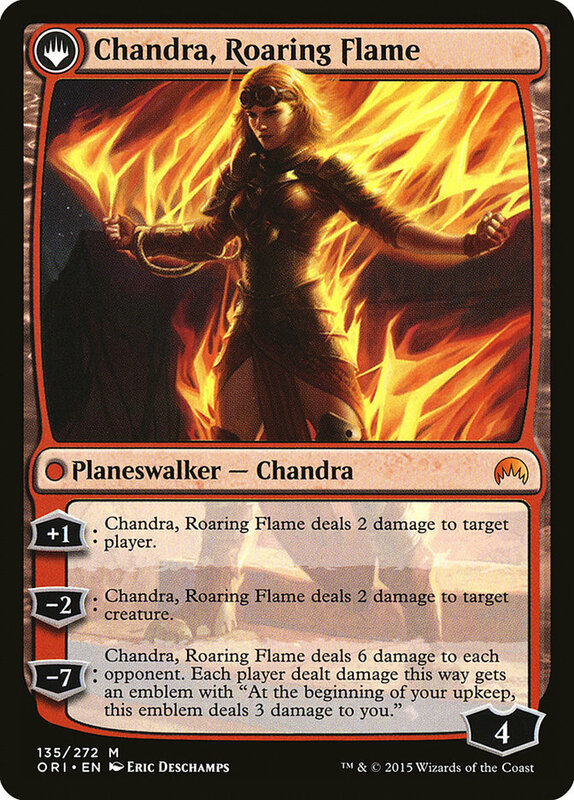 Oracle Text: +1: Chandra, Roaring Flame deals 2 damage to target player or planeswalker.